There are many ways a business may go about authorising Purchase Orders. Often, this is very messy and involves the ‘middle man‘ collecting and saving emails. However, if you are using Sage 200 there is a better way! 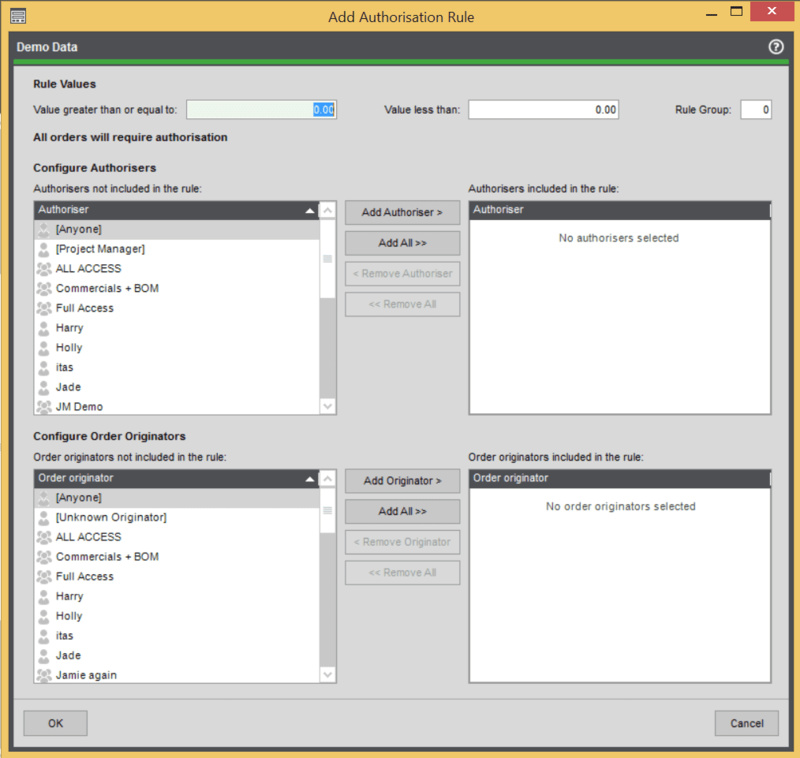 Sage 200 Authorisation allows you to create rules and automatically notify users of authorisations! 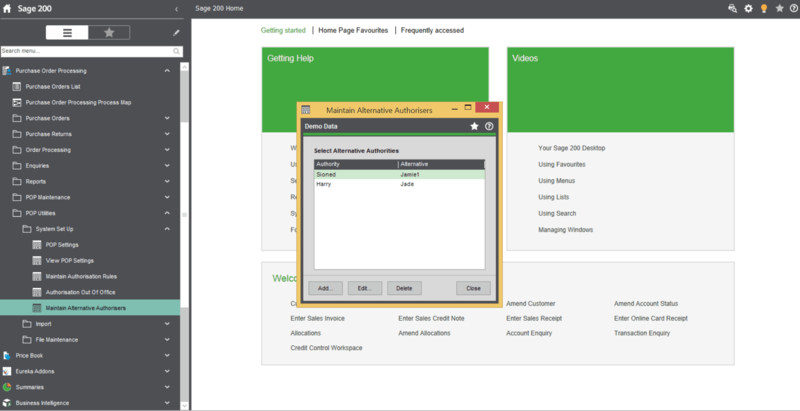 If you want to use Sage 200 PO Authorisation, you first need to set it up! You can do this by going to Purchase Order Processing > POP Utilities > System Set Up > Maintain Authorisation Rules. Within here, you can now create your rules! There are a number of ways you can set up the authorising rules, by amount, by creator and rule groups! Once you have set this up, your purchase orders must be authorised before they can be processed. You can use emails to inform the person who requested the goods (the originator) and the person who will authorise the order (the authoriser), that a purchase order has been created in Sage 200 and requires authorisation. You can also authorise PO’s remotely on the Self Service website. The basis for all rules, is the Value of the Purchase Order and the Order Originator. The originator, is the person who requested the goods! So, if you wanted all orders up to £1000, raised by Harry to be Authorised by Holly you would add Holly as an Authoriser and Harry as an Originator for Values between 0 and 1000. Next time Harry raises an order under £1000, Holly will get an email to ask her to authorise! Easy as that. If you needed multiple people to authorise, you can use the Rule Groups. This can be useful for higher value authorisations! When a purchase order is covered by a rule in different rule groups, the order must be authorised by someone from each rule group. For example, if in our example above we also wanted Jade to be have to authorise Harry’s order we would create a rule for both, but change Holly’s Rule Group to 0, and Jade’s Rule Group to 1. Both users would then be required to authorise any orders that meet the criteria for that rule! We have a guide that covers Purchase Order Authorisation in more detail. If your authorisers are away on holiday and you need to set up someone else to authorise PO’s you can set up alternatives! You can find this in Purchase Order Processing > POP Utilities > System Set Up > Maintain Alternative Authorisers. Here, you can add the alternative users for each person. Super Authorisers! It is possible to set up one user who can authorise any order. To do this, you can go to System Administration > Features > Purchase Order Processing > Administration. Right click PO Super Authoriser Permission and select Role Authorisation. Choose the roles you would like to authorise! That completes this blog on ‘Authorisation of Purchase Orders in Sage 200’, hopefully you learnt something new today!